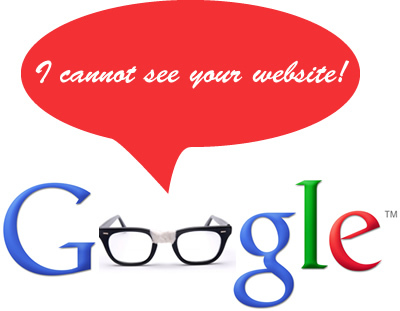 July 14th, 2014 Google released an announcement that search results will begin including warnings when a certain website’s back-end technology is not compatible with user’s web browser. For now this algorithm update affects English language users only, but with time it is likely to expand into all search results. Why did Google implement this update? Over the recent 5 years the importance of compatibility of a website across multiple browsers and platforms has become important not only from the standpoint of design but also in the SEO efforts. Google, as any other company must continue to innovate and improve their model – and in search engine technology industry user experience is everything. Mobile users comprise about 20% – 30% of the entire user base, which means they are an important fraction to pay attention to when trying to improve the search experience. Reading a blog post, for instance, on a non-responsive website can be daunting, zooming into the page to see the small font. Recognizing that, Google began pushing websites with responsive layout higher up on mobile search rankings. As a result, they are improving search experience of their growing population of mobile users. If you are using Flash on your website your web page may populate as picture below in iOS browser. So essentially, all iPhone / iPad users will see in search results that your website content may not display correctly. If you are a web designer and reading this, it would be an opportunity to redesign some of the previous work and Google provides a tool to guide you through the process of development that works across all platforms. The bar for web design will be raised a lot higher in the upcoming years, and it is no longer a visual decision. Your company’s bottom line may be affected because of the way code was implemented in the back end. No matter how much content efforts are done, you may still be below competitors because the website does not have a mobile version, uses flash, or other elements commonly incompatible with modern web browsers. For more questions about this topic feel free to reach out to us. We love to help!